Toolroom is known as the internationally-leading record label in Tech House, so it’s fitting that the inaugural programme in the Toolroom Academy gives you a step-by-step introduction to the essentials of producing the genre. 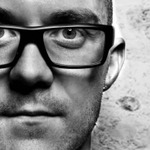 As one of the producers responsible for some of the classics in Tech House, Funkagenda is your ideal tutor. If you have ever wanted to sit back and watch one of the most talented producers in electronic music work their magic in the studio, this is your chance. In this programme, he guides you through creating a track from scratch – with clear and concise explanations of the key components that makes a successful Tech House record, alongside never–shown–before tips and tricks about how to master the genre’s production.